Comprehensive modules covering all aspects of Android Programming: Overview of the Android Environment, Installing the Android Environment, The Eclipse IDE, Java Programming Language, XML, Your First Android App, Android Application Lifecycle – Activities, Interacting with your Android Application, Designing the User Interface, Android UI Elements, Broadcast Receivers, Notifications and the Action Bar, and many more. Interactive course expert support, advice and guidance from leading industry professionals. Always ready to help or answer any questions you might have throughout the course, all of Fitzwilliam Institute’s course experts are top industry professionals with many years of successful experience. Our Diploma in Android Programming contains the core and vital industry key skillset and, on completion, all of our students are industry-ready. Real life Android Programming briefs. Fitzwilliam Institute’s Diploma in Android Programming offers practical and specific skills that can be applied in real world situations. You will gain exposure to invaluable toolkits and resources and prepare a real life Android project brief, which will enable you to improve your work portfolio. Flexible online learning. 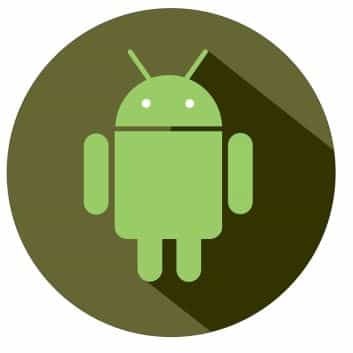 Fitzwilliam Institute’s Diploma in Android Programming course can be completed in your own time, from the comfort of your own home, to suit your lifestyle. You will have full access to online resources and subject expert support for one calendar year. However, you can complete the course in as little as 4-6 months, by dedicating 6-8 hours of study per week. Android Programming Jobs, Networking and Volunteer Opportunities. Benefiting from many years of industry experience, we are extremely well placed within the industry. Employers are always looking for Fitzwilliam Institute’s students and alumni. Our website features a comprehensive jobs and volunteer opportunities section.